Is Jolt only available on the iPad? The main Jolt App is currently available on the iPad and TransAct Terminal. There is a Beta App that can be used on other devices. Completing lists without an iPad or Tablet is also available on the Web Portal and Jolt Lite. What if my device is not connected to the Internet? The Jolt App receives information 3 days in advance of when it is due to display and sends information as soon as it connects to Wi-Fi. If the iPad is connected to Wi-Fi and syncs within 48 hours, Jolt will function properly. How many GB should an iPad have to run the Jolt App? Jolt does not require storage space on any device as all information is stored in a cloud. Does Jolt have a Tablet or iPad discounts? Not at this time. All devices will need to be purchased through a third party. Does Jolt support Mac and PC? 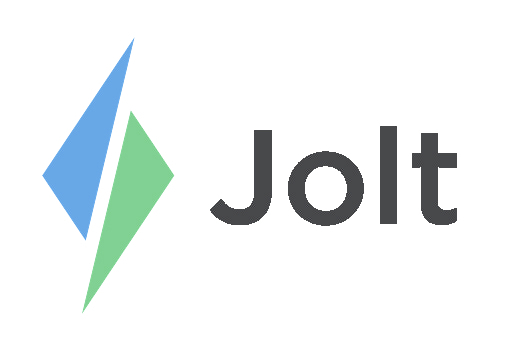 The Jolt Web Portal will run on any computer that has a Web Browser. Google Chrome is the recommended browser when using Jolt. As long as your device is connected to Wi-Fi Network then all of the information will be saved in the Cloud. The cloud is a method for delivering information services in which resources are retrieved from the Internet through web-based tools and applications, as opposed to a direct connection to a server. Does Jolt have any international representatives? Jolt does not have any representatives outside of the United States. However, support is provided internationally. Who is Jolt partnered with? Jolt is currently partnered with Zebra, Cooper-Atkins, ThermoWorks, and Transact. What is the best way to keep the iPads safe? Mounted Cases are recommended for using iPads and can be purchased from the Supplies Page.